Author Guidelines | Сетевое издание "Научно-технический вестник БГУ"
1. Requirements to the content of the articles. 1.1. In the journal «Nauchno-tekhnicheskiy vestnik Bryanskogo gosudarstvennogo universiteta» publishes articles of theoretical and applied character containing original research material of the author (authors), previously unpublished and not submitted to the editors of other journals. The research material should contain scientific novelty and/or have practical significance. Accepted for publication only public materials in Russian, English or German. 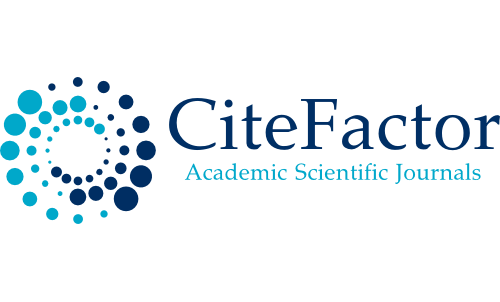 Review articles, biographical information, reviews of scientific monographs, etc. are written, as a rule, by order of the editorial Board of the journal. 1.2. The content and design of the article must comply with the principles and norms of policy in the field of ethics of scientific publications of the editorial Board and the editorial Board of the electronic journal «Nauchno-tekhnicheskiy vestnik Bryanskogo gosudarstvennogo universiteta». See Ethical publication policy. 2. The amount of articles. Full paper, as a rule, should not exceed 1 MB, including illustrations and tables. The minimum volume of the article – a full 5 pages of A4 (in this volume does not include metadata of the article in English). 3. Main requirements to preparation of articles. 3.1. Articles submitted in electronic form, prepared using text editor Microsoft Word (Word 97/2000, Word XP/2003) and divided into pages of size A4. See sample with customized styles. In the formation of the text is not allowed the use of styles, as well as the modification of the template or create your own template. Words within a paragraph should be separated by a single space. 3.2. All page margins – 2 cm, header and footer — 1,5 cm. Text is typed in Times New Roman, 12 pt, line spacing — single, red line (paragraph) — 1,25 cm, justified alignment, included forced migration. The pages are not numbered. 3.3. If the article is executed with support of grant or on the basis of a report read at the conference, you need to make the appropriate mention in the article. 3.4. The article should be accompanied by the author’s certificate containing the following information for each author: surname, name, patronymic (if available), scientific degree, academic title, place of work, position, postal address (home address indicate are not permitted), contact phone – work or cell (home phone indicate it is unacceptable), e-mail consent to the processing of these data and placing them in the magazine. See a sample of the author’s reference. 3.5. The article should use only standard abbreviations. 3.6. The editors do not accept manuscripts that do not conform to the rules. 4. Requirements to the structure of articles. 16) one line: information about the authors in English («About the authors» and the «Information»). These structural components of the article are mandatory. 5. The requirements for the structural components of the articles. 5.1. Title of the article should contain, as a rule, no more than 10-12 words, not contain abbreviations, formulas, jargon. 5.2. Abstract in the Russian language, which reflects a summary of the article must have a volume of generally no more than 10-12 lines. Abstract in English must contain at least 250-350 words, to be informative (reflect the main article content and research results) and the original (not to be a tracing of Russian abstract). 5.3. The number of key words in Russian and English should not exceed 10-12 words (for each language). They must reflect the specificity of the topic of the article, the results and the object of study. 5.4. The best is the following structure: «Introduction» stating the relevance and purpose of scientific work, the «Statement of objectives», «Results», «Conclusions», «References», «Appendix». In the «Appendix» if necessary, may contain the mathematical calculations that are not included in the main text of the article and other supporting material). In the text allowed the use of physical units of the SI (preferred) and/or ESU. Mandatory paper should end with conclusions. All letter symbols and abbreviations should be deciphered. 5.5. All illustrations are non-editable files in jpg format that must be inserted in the text. Additionally, illustrations should be saved as separate files in jpg format. Drawings are embedded in text using the option «Insert-picture-From file» and aligned with the center of the page without indentation. Other technology insertion and wrapping are not allowed. All the drawings are executed accurately, do not require redrawing, in a format to ensure clarity of understanding of all the details; this applies particularly to photocopies and grayscale drawings. The drawings, done in pencil will not be accepted. The drawings made in MS Word, unacceptable. The language of the inscriptions on the drawings (including units) must match the language of the article itself. Verbal instructions should be replaced with numbers and letter symbols explained in the figure caption or in the text. Authors, using in the preparation of drawings, computer graphics, please adhere to the following guidelines: the tick marks to guide inside; use Times New Roman font; height of numbers and lowercase letters must match the letters in the text; height and font of the numbers and letters all drawings must be the same. 5.6. Formulas should be typed only in the formula editor (Microsoft Equation). The height of the font 12 pt, large index — 8 pt, small index – 5 pt, large character – 18 pt, small – 12 pt. Formulas embedded as an image, are not allowed! The article should contain only the most essential formulas, intermediate calculations, it is desirable to refuse. Vector quantities are in bold font. All bulky formulas are carried in separate lines. Formulas should be inserted in a table with invisible lines, consisting of two columns. Left wide column is used to host the formula and the right narrow column for number formula. Formula number is put in parentheses and located in the center of the table cell. Numbered only those formulas that are referenced in the text. 5.7. In the list of references includes only those sources for which in the text are referenced. The list should contain no more than 50 sources. Preferably greater use of foreign sources. The list is created either in order of citation or in alphabetical order (first the sources in Russian, then in foreign languages). References in the text of the article should be given in square brackets. 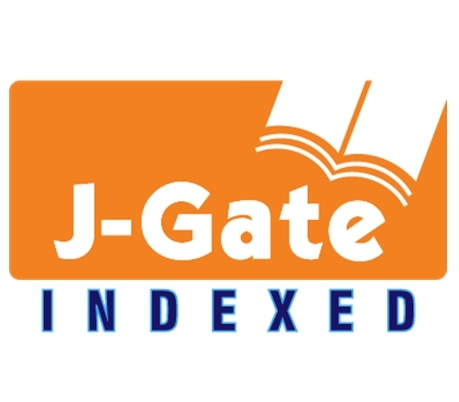 Bibliographic description of the cited sources in the bibliography issued in accordance with GOST 7.0.5-2008 «System of standards on information, librarianship and publishing. Bibliographic reference. General requirements and rules». Links to works in print are not permitted. The list of references should be duplicated in Roman alphabet (see Writing the Russian characters in the Latin alphabet). 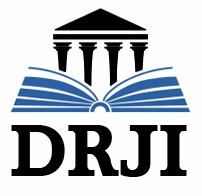 Recommendations for the presentation of references in the bibliography in the Latin alphabet that satisfies the requirements of search engines, international databases, see the Presentation of sources in Latin. 5.8. Information about the authors should include the following information (in Russian and English): surname, name and patronymic (if available) of the author, academic degree and academic title (if any), position with the indication of the place of work (full name of the organization without abbreviations), e-mail address. In the English version, it is desirable (but not required) to bring additional information, in particular, to specify the date of birth, complete name of the institution and the received scientific degree or qualification, to indicate research interests, etc. 6. Requirements for the composition submitted to the journal of documentation. 3) files with the file extension .pdf that contains a copyright certificate signed by the author, whose name corresponds to the name of the author (for example, «Ivanov I.I.pdf»). Each article must undergo a procedure of blind peer reviewing. The order of review set by the document «Article processing». After reviewing the editorial Board reserves the right either to return the article to the author for revision, or reject its publication in the journal. The editorial Board reserves the right to edit articles with the preservation of the author’s scientific content. In the published article indicate the date of its posting in the Internet on the official website of the journal. Changes and additions to the guidelines available on the official website of the journal: http://www. ntv-brgu.ru.